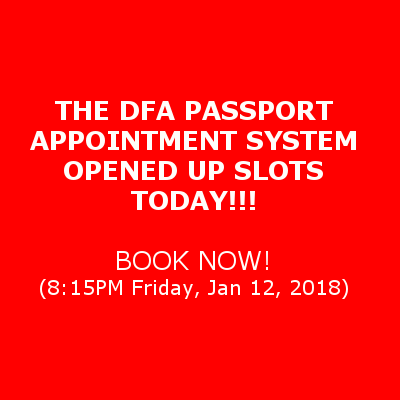 DFA PASSPORT: Appointment Slots Are Available Now! Maybe it's the pressure from the social media, which was amplified even more when the mainstream media began picking up the story of the outcry from affected people. Whatever the root cause is, you can go ahead now and set an appointment online in select DFA offices in the country. And when I mean now, I mean RIGHT NOW! 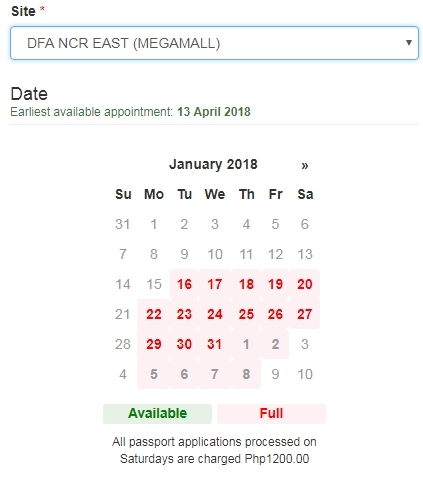 I just checked the DFA appointment system and there are slots for April 2018 in select DFA Offices in Metro Manila. 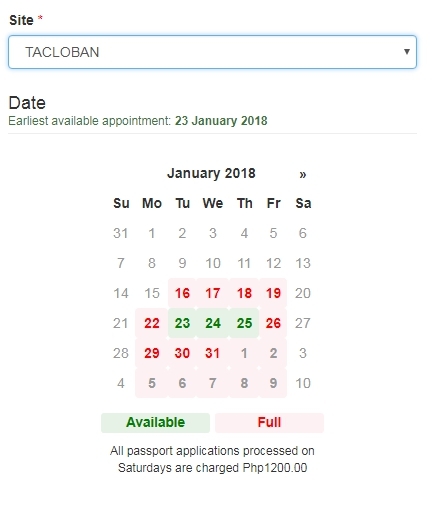 And here's a thing that's even more interesting, Tacloban DFA has an opening this month January 2018! Wow...whether you care about the alleged corruption inside the DFA or not, you can set it aside and set an appointment now, I mean NOW! 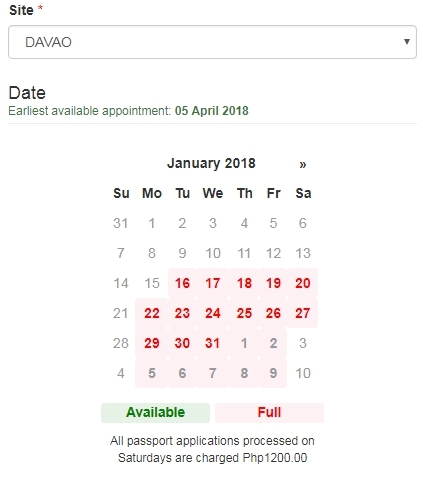 The DFA Passport appointment system is fully booked until March 2018. It opened up the slots early December last year but just after a week or two, all 27 offices has become fully booked. This sparked outrage among citizens. Reports have emerged that while the system is fully booked, travel agencies can still process passports anytime but for an exorbitant price. The social media seen a increase of these stories like this recently until mainstream media picked up the issue and brought it to a larger audience. The pressure might've caused the opening of slots as observed in the story above. Now, there are no more open slots until July 2018. 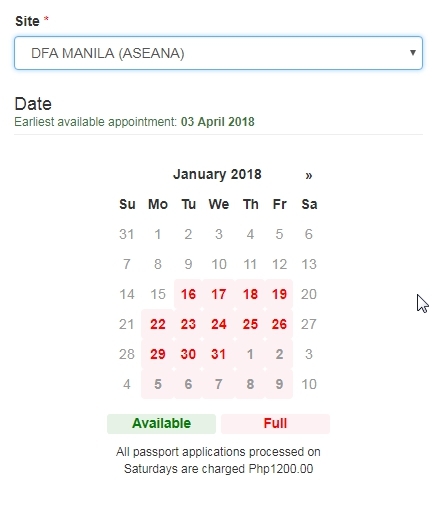 Maybe DFA has to open more slots, or better, cancel multiple slots booked by the same individuals. I have read all the comments and suggestions posted by the visitors for this article are very fine,We will wait for your next article so only.Thanks! The look favorably fantastic. Many of these small data tend to be designed making use of lots of background encounter. I'd like everything considerably. Thank you ever so for you blog article.Thanks Again. Cool. You’ve made some decent points there. I looked on the internet for more information about the issue and found most people will go along with your views on this website.